Lisa Linfield: 00:21 Hello everybody and welcome to today’s episode of Working Women’s Wealth. Today, we’re going to talk about a subject that I have personally been struggling with, probably one of the most I guess besides fear and the fear of failure when it comes to setting up my own business. And that’s asking for what you’re worth. Now, I don’t know about many of you, but I don’t find it that difficult to negotiate or ask for what you’re worth on behalf of a company, but when it comes down to services that I offer and putting a price or a value to my work, whether it either be when I was employed or now when I’m setting up a business. I’m not as good asking for myself as I am on negotiating on behalf of someone else. And for me, this has been one of those really dig dip challenges, having these conversations. I even had a conversation with a client, we are on email, we agreed an amount of money for a financial plan and when it came to presenting the plan to him, he then said, “Just send me the details.” And I turned around and said, “Oh no, don’t worry. It’s absolutely fine.” And gave it to him for free. And I can tell you one thing that I have learned about this process, is that it is much easier to give something away for free or discount it heavily than it is to actually ask for what you’re worth. So why do we struggle to ask for what we’re worth? I read an article the other day by Scott [Mortz 00:01:58], who was discussing the subject and for him, he said that one of the real challenges that comes down to is understanding how to lead yourself and be bold about how to value yourself. His view as to why we struggle is that we reduce our perceived worth. How much we’re worth in order to chase the approval of others. So if they say yes, we feel elated for that brief moment, but actually inside us, it niggles at us because we’re disappointed that we didn’t have the guts to ask for what we’re worth. If they say no, even at a discounted rate, we are crashed because we kind of assumed to believe that not only are we not worth what they should be paying, but in addition, we’re not worth what we feel the discounted rate is. So I reflected on this quite a lot and I realize that in my case it’s very true because I have a huge fear of failure and rejection. And I also have that very good girl pleasing instinct that I am really unable to ask for what I’m worth because it’s hugely linked to my desire to win the approval or please other people. Where I go wrong is that my brain puts two and two together and comes up with 12. My brain tells me that if they do not accept the rate that I’m asking for, they are personally rejecting me as a human being or they don’t like me or think that I’m worth that amount of money. Then the conclusion is that I’m definitely not good enough and I failed. And I can’t tell you how often this happens to me. It literally was just yesterday or the day before, where I was talking to a client to who I had already agreed to reduce rate and it came up in conversation and I find myself wanting to discount it further just because I didn’t want to have the conversation. 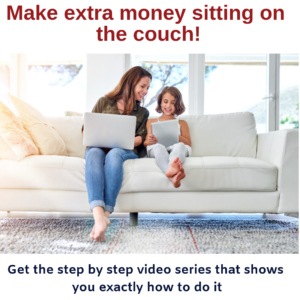 Even when it came to my training courses, in the beginning I offer them for free and it was so interesting that not many people actually came. But then when I offered it for an amount of money, more people signed up. And the reason why they signed up was that they obviously felt that if there was no value on it, no charging value, then they place no value on it. But if there was a value that was put to it, then obviously it was worth it. 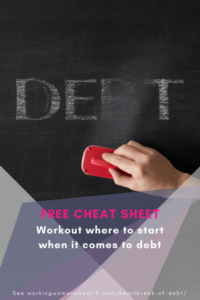 So I really am by no means sorted on this process, but I thought what I would do share three or four tactics that you can look at to work out and come to a number of what are you worth. So whether you are selling a service of your time or something to do with you, like I was or if you are salaried employee, the first tip is to evaluate what the industry pays. And there’s a range. So the industry will pay a range and you need to know both what is average and what is the high and low points. And remember that if you’re trying to go from, for example, a salaried employee to a consulting hourly rate, you need to also add in the fact that you’re not going to get a bonus. So you need to add the bonus in and you need to also account for the fact that you have sick leave and holidays baked into a salary. You get paid holidays. So you basically reduce it by 10 for sick leave and whatever your holidays are, between 15 and 25. So work out what is the industry rate. Not only the average, but also the high and low points. And then secondly, ask yourself, whether you’re better, average or below average than your peers in the industry. And I found that most people, literally I would say only 10% of people have a distorted view of themselves. I think most people are honest. They know within a couple of years of being in the workforce, whether they’re better than average, average or below average. And if you struggle with that, with having an accurate sense of self, then ask a couple of your old colleagues or people who’ve worked with you and they can give you an honest answer. Then the third step, now that you understand what you’re worth, is if there is a gap between what you’re currently either charging other people or people are paying you as a salary, then you need to collect data that is logical and non-emotional for why you should have a pay rise or charge more money. And that data could be the reports you produce are significantly more detailed. You include 16 other different sections and research for 15 hours in that report. So it’s data based. It’s structural. You could say that you’ve had above excellent performance reviews, if you’re in the corporate, for the last five years and therefore, you should be earning above average of the industry mean. So collect data, collect bullet points of data. And then the last thing is you need to go and have the courage to ask for it. And you need to remember what I called, the full stop. So what is the full stop? So I’ve come to the conclusion that one of the biggest difference is between men and women is the difference between a coma and a full stop. So a man will say, “I’m terribly sorry, I’m unable to attend the dinner or the event or the workshop or whatever it is.” A woman will say, “I’m terribly sorry, I’m not able to attend your event. You see, I made another meeting three weeks ago and you know my daughter is … ” And the reasons go on and on and on. They don’t stop at a full stop. And when it comes to negotiation, one of the rules that I was taught in one of the negotiation courses that I did is he who breaks the silence first loses. So when a man sits down with his boss, he says, “I’ve done my research and I believe that I’m worth a 20% pay increase.” The woman will say the exact same thing, but instead of just saying, “I’ve don’t my research and I believe I’m worth a 20% pay increase.” She’ll also add, “It’s not that I’m unhappy or anything. I have no intention of leaving whatsoever. I really love it here and I love my colleagues, but I was you know thinking that it would be nice to get paid a little bit more. You know, my research says I should do.” And then what happens is her boss, who’s usually male will hold the silence and the women will get uncomfortable and she’ll say, “Well, you don’t really need to give 20%. Maybe 10% will be good.” And in the end, she’ll walk out and they would have agreed to 5% increase. But the difference is the man stopped at the full stop. He just said, “I believe that I’m worth 20% more.” And when he was able to hold the silence and his boss eventually broke the silence first and asked, “Why do you feel that you should get a 20% increase?” He would then list 10 bullet points, followed by another full stop. And in that he’s able to get what he needs. The key to this is the fact that as women, we feel we need to explain and justify every single action of us. And in doing so, we more than often are unable to hold the silence of a negotiation. And what we do is try and fill the space with things that end up negotiating ourselves down. Not the other person, we negotiate ourselves down. We take that space, that silence, that negotiation tactic to mean disapproval, not buying in to the concept. And so it’s hugely important that we understand and are able to comprehend that this negotiation and what is said about this discussion is not for any means a reflection on you as a human being or your self-image. There will always be people who like to negotiate. They like to feel that they’ve won every single negotiation and even though they might genuinely be able to afford your services, it’s just part of who they are. There will also always be people who genuinely can’t afford your services and there will also be those that in not getting back to you once you told them how much you cost. It actually has nothing to do with you. Maybe they got very busy at work. Maybe something else came. Maybe the budget got frozen. But none of it is a sign of whether or not you and the work that you do is worth the money that you’re charging. Because the reality is that people have their own frames of reference in terms of why they say yes or no. And sometimes it might have nothing to do with you. And their no means nothing with respect to whether you’re a success or whether you’re a failure. I, recently had a woman who took two weeks to get back to me. And the whole time I kept on saying, “Oh my goodness, I should have asked for less. Oh my hat! They’re not going to take it. Oh, this, this, this, this.” And in the end she said, “Oh, I’m terribly sorry. I have been on leave.” It had nothing to do with me. So everybody out there, please one of the first steps to growing your wealth is to make sure that you’re paid what you deserve to be paid. And remember that if you can double your rate, you only need half the amount of people to say yes. 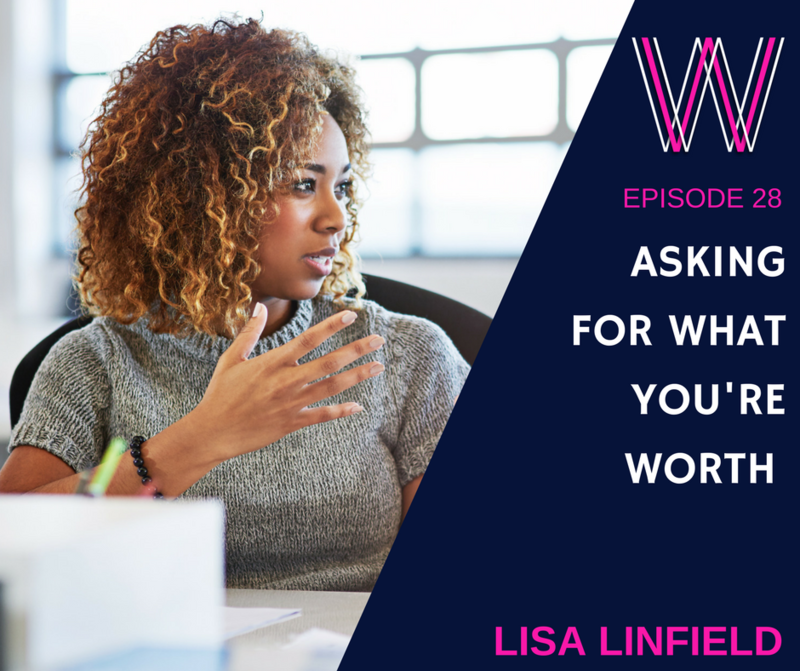 I’m Lisa Linfield and this is Working Women’s Wealth. And I’d love for you to visit our website, workingwomenswealth.com and sign up for our newsletter communication that will be tailored to you through our great process. Take care and have a great week.